Tintin saw a crashed plane and followed some leads to reach the house of Mr Muller in “The Black Island”. Mr Muller captured Tintin and there was a fight. During the fight, the house caught fire while Tintin lay unconscious after he inhaled chloroform. After some of the locals saw Mr Muller’s house on fire, a fire engine raced to the douse it. 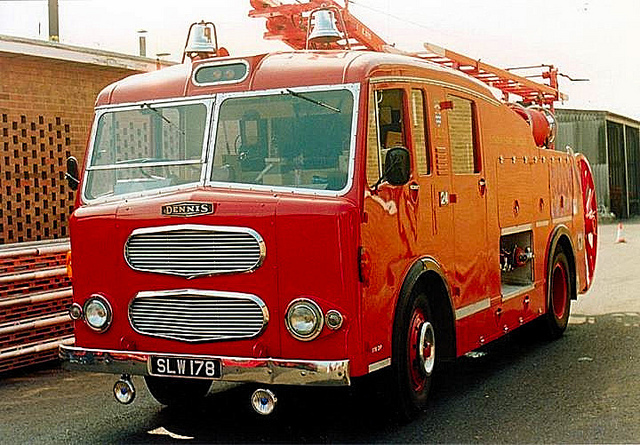 The fire engine shown in the book was a Dennis F 101. 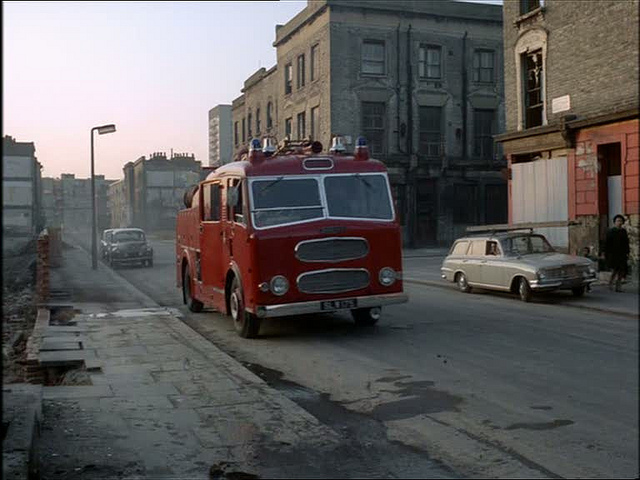 These fire engines were built by Dennis Specialist Vehicles Limited which was a British company based out of Guildford. Though the company was best known for its fire engines it also built buses, dust carts and airport service vehicles. The company was founded as the Dennis Brothers Limited in 1895 and started with manufacturing and selling bicycles. They started manufacturing motor vehicles in 1898. Dennis built its first car in 1900, bus in 1903 and fire engine in 1908. The company was acquired by Hestair in 1972 and renamed as Hestair Dennis. There after it changed a number of hands, Trinity Holdings in 1989 and Mayflower Corporation in 1998. The company split into three in 1990, Dennis Fire, Dennis Bus and Dennis Eagle, which manufactures dust carts and garbage handling vehicles. Dennis Fire and Dennis Bus were later incorporated into one company, Transbus International, now known as Alexander Dennis. The famous double decker London buses are manufactured by Dennis. 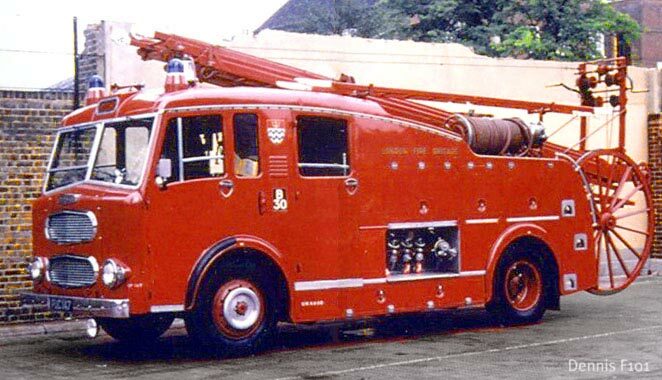 The Karnataka Fire and Emergency Services still owns a pumper that was built by Dennis Brothers and delivered to the erstwhile Kingdom of Mysore in 1925. The Fire engine depicted in Tintin is the F101 which was built in the 1950s. The F series of trucks were built by Dennis from 1946 to 1970. It was powered by a massive 12.2 liter inline six cylinder Rolls Royce engine. This engine was more commonly found in shunting locomotives and tank transporters. 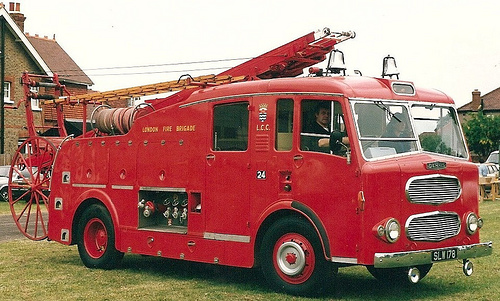 These fire engines carried a 50 feet long Bayley ladder and had a four speed reverse gear box. They were fitted with the Dennis No.3 pump which could discharge water at the rate of 900 gallons per minute. The fire engine itself carried 100 gallons of water on-board also.